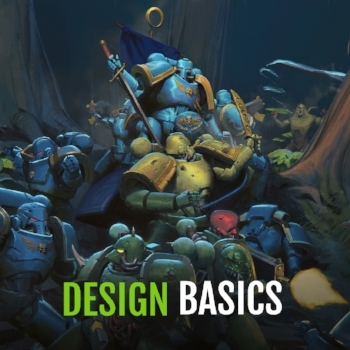 Explore the world of design by starting with the basic rules. This course introduces the axioms of what makes an attractive design. Marco will show you the foundations of design he learned over the years. This course explains the basis of concept art illustration, it is recommended to students wanting to improve their use of shapes, research, and thinking when it comes to good design. Learn to design captivating and believable environments with confidence. Students will be be guided through the work flow of a professional environment concept artist; We will take a step by step approach to breakdown the process of creative a captivating environment design, starting with the fundamentals of composition and eye direction, the keys of any great environment design. The 10 week process will take students through a series of specific exercises designed to develop good habits in creative decision making. By the end of the course, students will have learned the tools and techniques required to create spectacular environment designs.